Kimberly speaks English, Chinese and Spanish fluently. Her multicultural background has given her a great ability to understand and adapt to the individual needs of her clients. 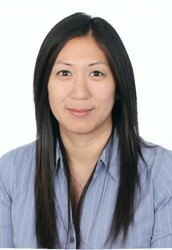 Kimberly worked for GMC, SGVMC, Home Health/Hospice Care and Newborn Care. – from Hospitals to Home care she was in the nursing industry for over 20 years. Additionally, She orchestrated and managed the twenty plus employees who reported directly to her. Kimberly worked with many aspects of nursing in Hospitals to private healthcare, catering to their individual needs. Her creativity, attention to detail, managing time, negotiating, and communication skills in all levels became a valuable asset and continue to serve her real estate clients as well. Come to our event !!! This class is offered in Mandarin to first time parents. We teach how to carry baby, give baby bath, umbilical cord care, jaundice care, breast feeding positions, etc.